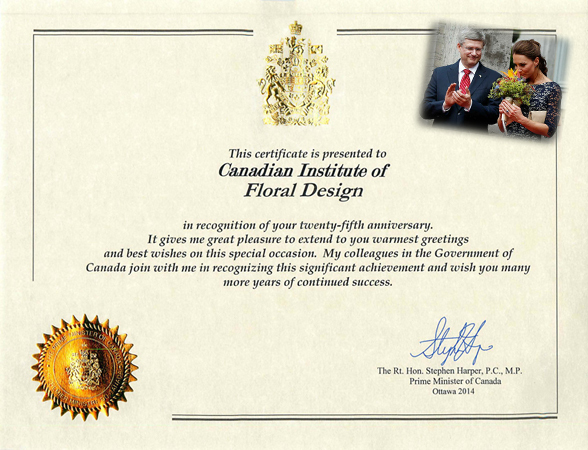 Congratulations to the Canadian Institute of Floral design. This year we are pleased to be celebrating 25 years of Floral Design at CIFD. We have seen over 3,500 satisfied students graduate from our programme over these past 25 years. Many of those students have gone on to professional careers in the floral industry, others have simply enjoyed the rewards that having the skill of floral design can bring. From our early beginnings to our present online offerings, reaching out to the surrounding communities in the Greater Toronto Area, as well as to the rest of the world through our web site, our classroom continues to be a creative, positive, fun environment, and source of knowledge for all our students. We look forward to our future with a continued commitment to offer the very best in quality floral products and hands on instruction, having your goals in mind as you enter into the fascinating, colourful world of Floral Design. Highland Evergreen was established in 1962 by Fred Henderson. It all started with one product, Ontario white cedar boughs. Fred would travel once a week to pick up cedar in Northern Ontario and deliver the product to several wholesalers in the U.S. In time cedar was being delivered all across the GTA. Highland continued to grow, adding more products from around the world. In 1988 Highland moved to their current location: 7125 Pacific Circle, Mississauga. Fred eventually retired in 1999. Howie Henderson became the sole proprietor of Highland in 2005. “We would like to thank our valued customers and suppliers. Without your loyalty this event would not be possible. We will continue to work closely with our suppliers, to give you our customer superior quality products. We look forward to many more years of outstanding customer service and product“. With great pride we present to you the new FleuraMetz logo! As from the 1st of June 2011 we implement our new corporate design steadilyinCanada and other FleuraMetz countries and consistently present our company as FleuraMetz. Both names, Fleura and Metz, will no longer be used. This means for example that our Cash & Carry in Mississauga and the head quarters in the Netherlands will get the new FleuraMetz look. FleuraMetz stands for an unique combination of strong Sales concepts. With the Cash & Carry and our Direct Ordering system we have everything required to be the best partner for the professional florist. Therefore our slogan: Successful. Together. PS: Interested in novelties, useful tips and special offers? Don’t miss out on the FleuraMetz email newsletter. Go to www.fleurametz.com, subscribe and stay up to date on the latest news and events! C’est avec fierté que nous vous présentons notre nouveau logo FleuraMetz! A partir du 1er juin 2011 nous introduirons progressivement en Canada comme dans tous les pays servis par FleuraMetz notre nouveau style, en nous présentant publiquement et systématiquement sous le nom de FleuraMetz. Nous n’utiliserons plus désormais les noms Fleura et Metz. Cela signifie que notre Cash & Carry de Mississauga, et nos sièges aux Pays-Bas seront munis du même style FleuraMetz. FleuraMetz est une marque qui regroupe une combinaison unique concepts de vente. Avec les Cash & Carry et les ventes Directes nous avons tout ce qu’il faut en notre sein, pour nous projeter comme étant le partenaire idéal du fleuriste. D’où notre slogan: Successful. Together. PS: Vous appréciez les nouveautés, les conseils et les actions promotionnelles ? Ne manquez pas alors notre mail d’infos FleuraMetz! Rendez vous sur www.fleurametz.com pour vous inscrire, et restés informés des dernières nouvelles! 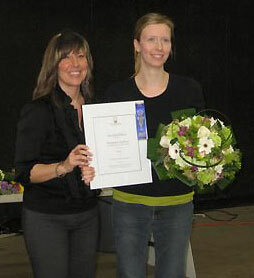 April 7, 2010 - This year, PickOntario hosted their very first floral design contest. Florists from all over Ontario were invited to submit a floral design that best showcased the beauty of Ontario grown flowers. In February 2010 the top ten designs were posted at PickOntario.ca and voted on by over 1,000 consumers. The three designers whose arrangements had the most votes were invited to Canada Blooms in Toronto on March 18 for the final round of voting. At Canada Blooms, Kay’s Petals and Plants of Corunna, Ont., Alma Florists of Toronto, and XQZT Floral Design of Tillsonburg, Ont., all showcased their Ontario grown arrangements. Consumers and florists alike that visited Canada Blooms were asked to vote on their favourite design. At days end, the votes were tallied, naming XQZT Floral Design as the winner of pickOntario’s floral design contest. Honourable mention went out to Kay’s Petals and Plants and Alma Florist for their beautiful designs and their involvement in the contest. 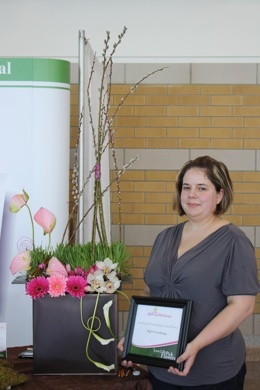 Mandy Babbey, from XQZT Floral Design, was overjoyed to receive her plaque, along with a one night stay at the Sheridan on the Falls, a lovely dinner package, and a limousine tour of Ontario Greenhouses. This tour will allow the florist to see exactly where her Ontario flowers and potted plants are coming from. Congratulations to CIFD's Dragana Ljubicic, winning the 2nd place in Bridal Design, graduating from Class March 12th. A good job and congratulations go to CIFD Team -- Liz Lant, Kimmy Lee, Sofia Giannaros, Norah Browne and Nimalini Sathananthan. We extend a large hooray to an outstanding achievement by other students at Seneca and Algonquin Colleges. On Thursday, March 14, 2008, the Ontario Flower Growers (OFG) hosted a floral design competition for students who are new to the industry to come together and gain some experience for their chosen field. 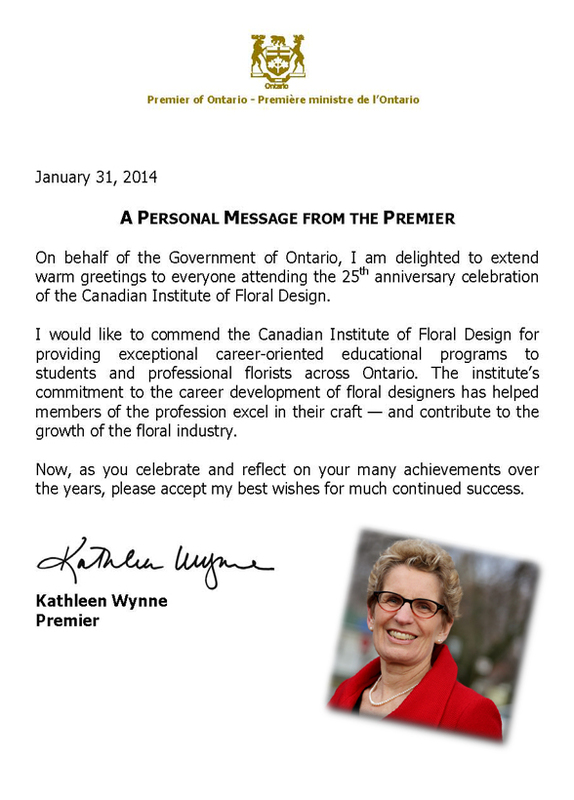 Canadian Institute of Floral Design (CIFD) was proud to be amongst the Professional College group. This competition is designed for students from different schools, taking floral design to gain some experience, receive constructive criticism, and have fun doing so. Says Sheri Knowles, of OFG. The day began with a light breakfast and greeting from Sheri, followed by the competition, which was two hours in length. The students were to design either a themed "flower power" centrepiece, or a bridal bouquet. Students were all supported by their peers, who watched eagerly as the competition took place. Once the competition was over, the students had lunch, and watched various floral presentations, while waiting for the results. The main event was judged by CAFA, as well as a peoples choice award, which was voted by all peers,family members and instructors from each school who came for the competition. Judging was based on the creativeness of each design, design techniques, colour scheme, mechanics and more. Christine Simpson-Links, who just recently graduated at CIFD, won the peoples choice award, for her beautiful bridal bouquet, made with gerbera daisies, tulips and pink roses. 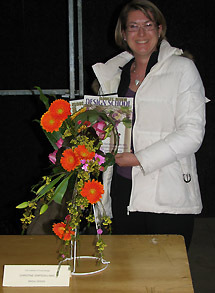 All of the students did an amazing job, says Monica Schut, of CIFD, Christine’s arrangement was an excellent composition, we are all happy she won the peoples choice award, we are all very proud of all who competed with CIFD, as well as all the other students from the other institutions. OFG hosts this competition every year, providing all materials for students to use in the excersise. Graduation day at the Canadian Institute of Floral Design [CIFD] is always an exciting day. The most recent grad day was made extra special with a visit to the school by Tom Colin, former head of the Floral Design Program at Seneca College along with a special announcement. Donald Waltho, Managing Director of CIFD was pleased to announce and welcome Tom Colin to the Board in the role of Senior Advisor. Tom has been involved in the floral industry for over sixty years. His career began in Holland , and continued when he immigrated to Canada . Tom Colin was the former instructor at Toronto School of Floral Design – teaching Don’s father Bill Waltho in the early 1960’s. Tom is very well known and respected in the floral industry across Canada and on the international scene. He was one of the founding instructors and architects of the Floral Training Program at Seneca College in Toronto . ‘I am very pleased to be associated with a reputable and aggressive organization like the Canadian Institute of Floral Design ’, commented Tom. ‘It is wonderful to see the level of passion and enthusiasm here from the instructors and students’. In his closing remarks Tom encouraged each of the students to continue to learn and educate themselves. Tom will be consulting and advising the institute with its plan for CIFD Alumni to travel to Amsterdam , Netherlands for the 2008 Horti-fair. Accompanying Tom to the school was his daughter Monique Theriault, also a well respected floral design instructor. CIFD is currently planning an expansion of its programs as well as faculty. 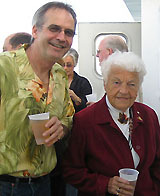 Mississauga’s former Mayor (1978 - 2014) Hazel McCallion with Don Waltho from Canadian Institute of Floral Design, discuss the Floral Industry and the impact Mississauga has with the National Floral Business.